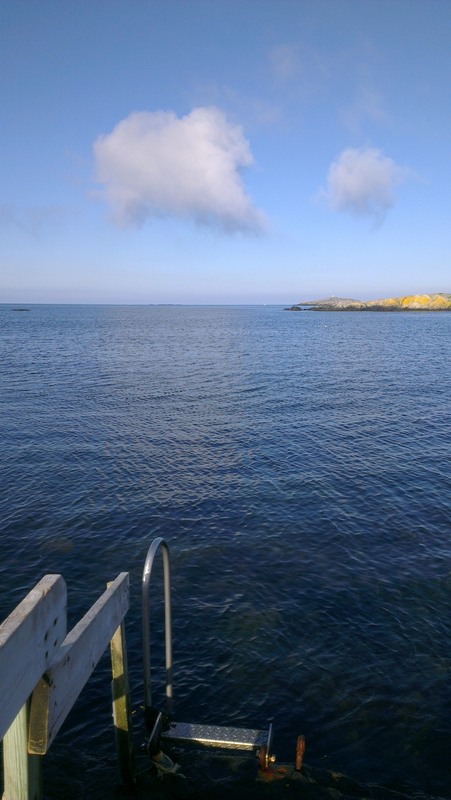 A beautiful morning and I went swimming. It’s still the same temperature around 11°C. It’s as gorgeous as my garden down there! 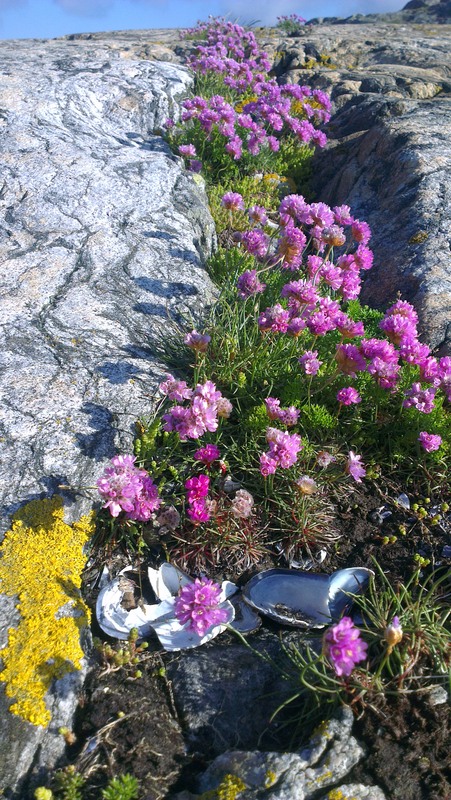 Flowers everywhere. 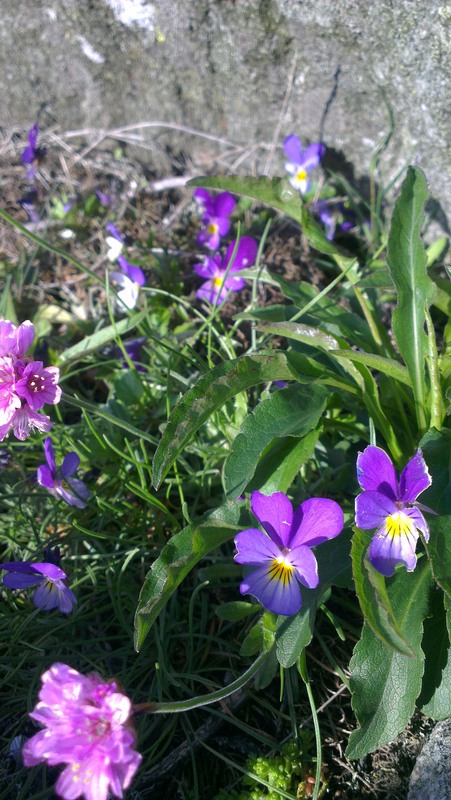 Huge poppies in bloom, violets and thrift. All kinds of flowers where you’d think nothing could grow! Punken was named first because of the punky afro. Now we’ve got to know the others a bit more and after a very creative thinking evening here is the list(we needed to write them down to remember): Punken, Kiki, Vivian/Vivi, Ronnie/Renée Biggs/Bigsy, Zappa and Captain Pugwash/Pugsy. The latest pictures are actually from a few days ago, now they’ve grown even more. Let’s hope they all make it to adulthood. 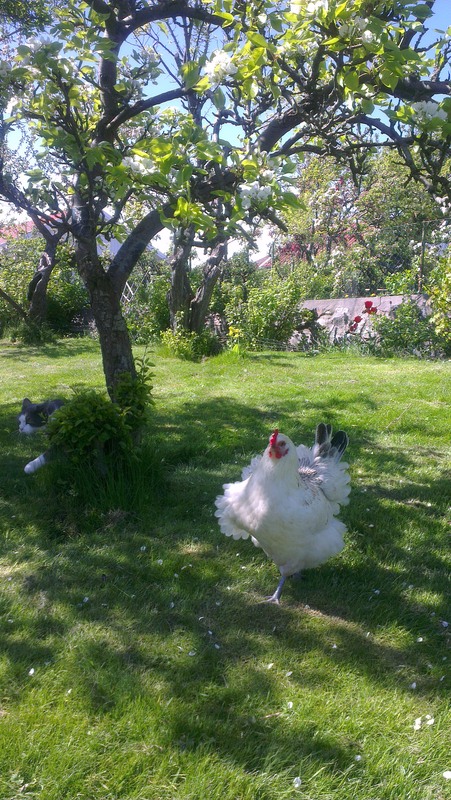 After my morning swim I look out the window while getting changed at exactly the same time as Oggy the cat charge into the hen yard, the hens attack and scream, I open the window(starkers) and shout and hiss at him, he lands and turns around and runs off. 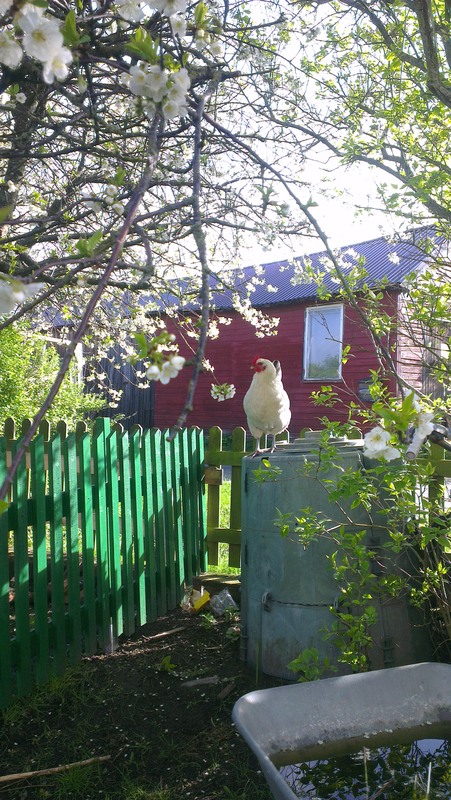 A few hours later I realise that he keeps shaking his front paw, thinking the hens managed to scratch or peck him I pick him up but as it turns out his paw had landed in the massive vile-smelling hen-poop-mountain I saw this morning! Obviously it was too disgusting for him to clean in the normal feline way. My son filled the zink up with water and I held Oggy in a wrestlers hold and cleaned him up. I really wish that experience will keep him out of the hen yard but I doubt it. Good job we have a couple of amazing protective mums looking out for the little chicks. That feeling when the plate is so good you can’t wait for it to dry before taking a picture of it and sharing to the world…I love that feeling. Got up early this morning to make the exposure that I’ve been thinking about for the last week. Not the first time, I’ve taken the same picture many times but keep coming back to it. 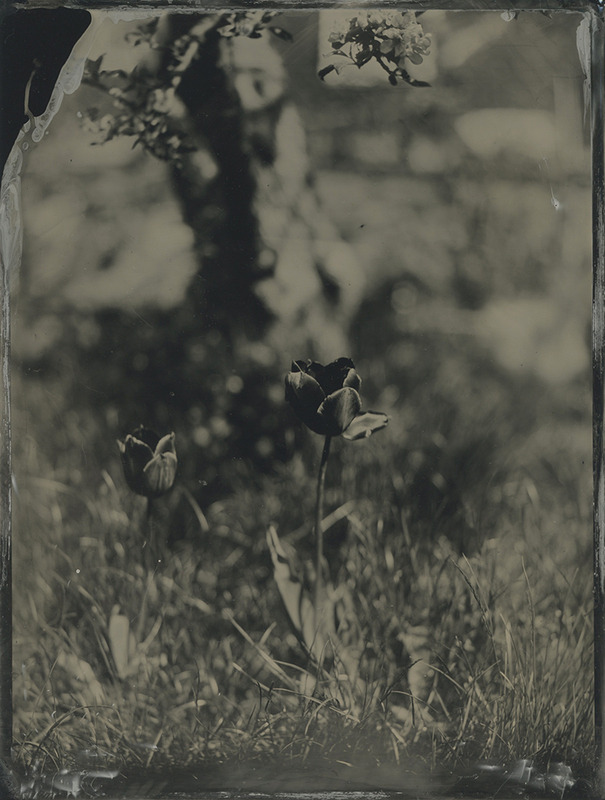 The old apple tree and the red tulips that go black on the wet plates are irresistible. There is usually no wind in the morning, later it picks up. With an exposure of a couple of seconds it’s best with the tulips not moving in the wind. Only made two plates and ran out of developer. 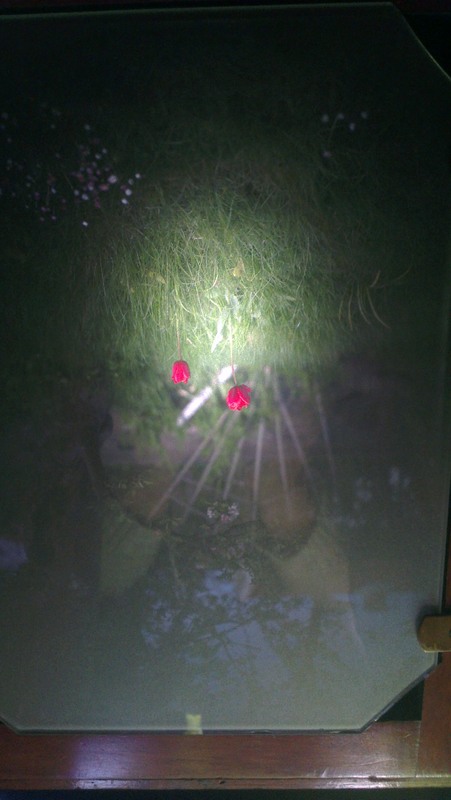 As I mixed fresh developer I thought I’d might as well make some cyanotype chemistry at the same time. 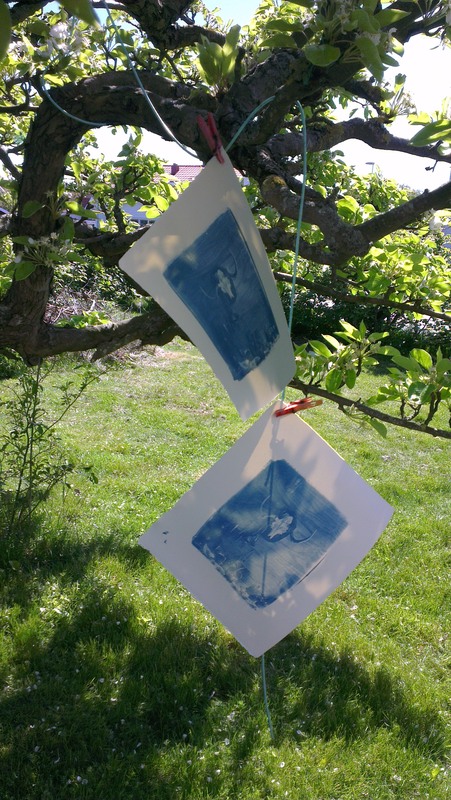 Can’t hand it over before testing it though so I took a little break for cyanotypes and hung them in the pear tree to dry. Now I’ve done my last plates for the day, very happy with one plate and a few ok ones. Usually I get bored very easily with the same subject but for this one I want perfection, which for me means the perfect imperfections. 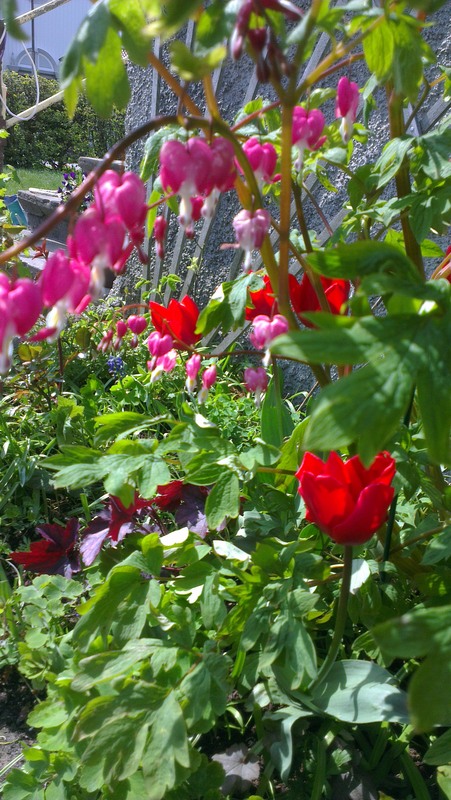 Tomorrow they say it will rain and the tulips are on their last legs so I’ll try again next spring. 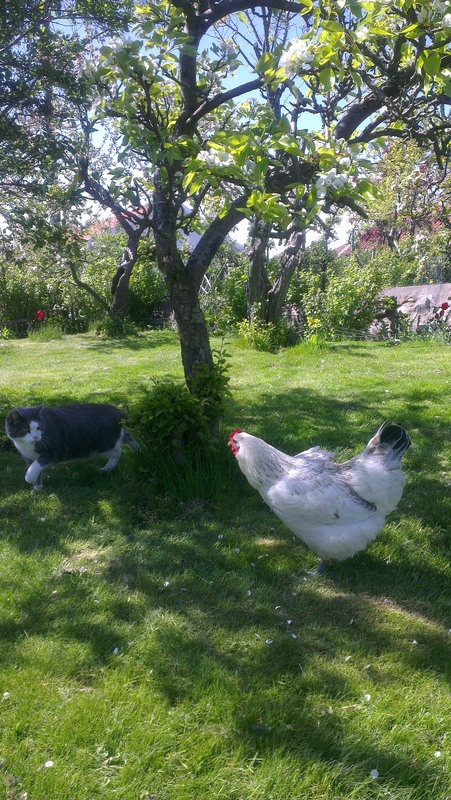 As usual the hens were very curious and Oggy the cat came to keep me company. I’ve trusted Oggy, last time we had chickens he was even in the henhouse with them but yesterday I caught him tensing up ready to jump them. I quickly chucked some water at him, haven’t seen him run that fast since he was a little kitten! 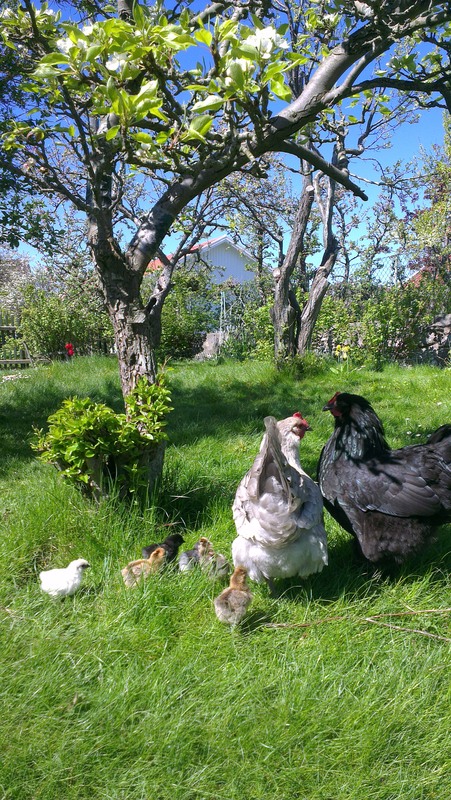 Otilia and Bugget brought all the chickens out to eat grass but only for a short while, they choose to stay in the safer hen yard most of the time. I’ve widened the ladder to the hatch so now they can find their way back inside easily. 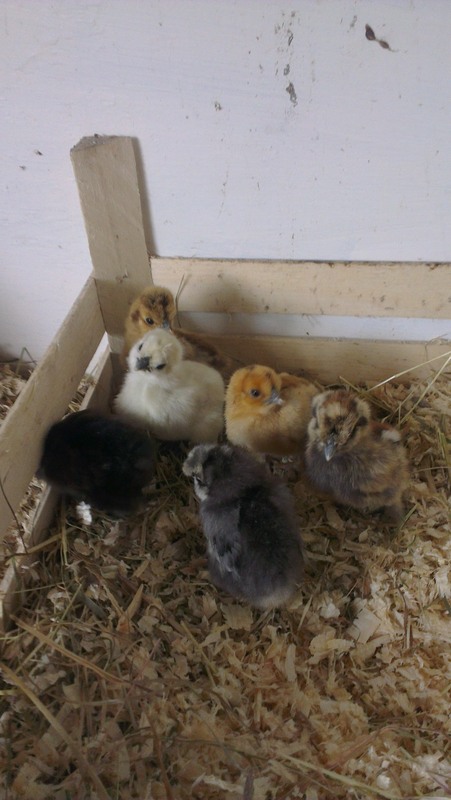 A nice distraction fuzzing with the chicks while waiting for my wet plates to dry. It’s hard to get anything done with the cute little chicks around but the beginning of the day was very productive. 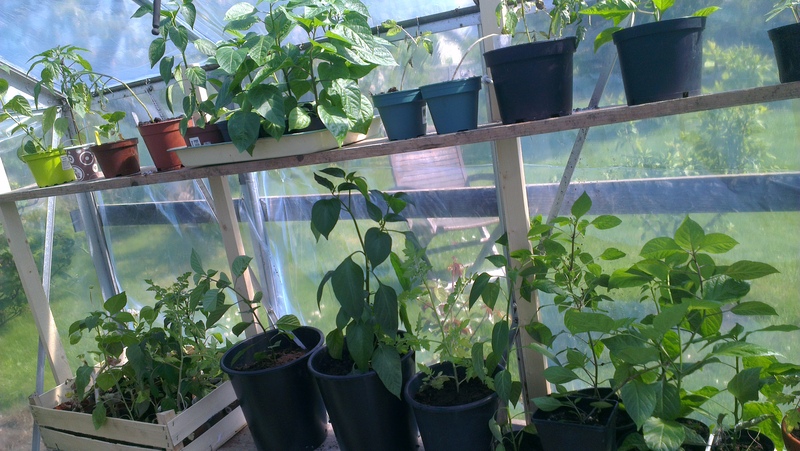 I emptied the compost completely and filled it with new sticks, dried grass and old veg and fruit. 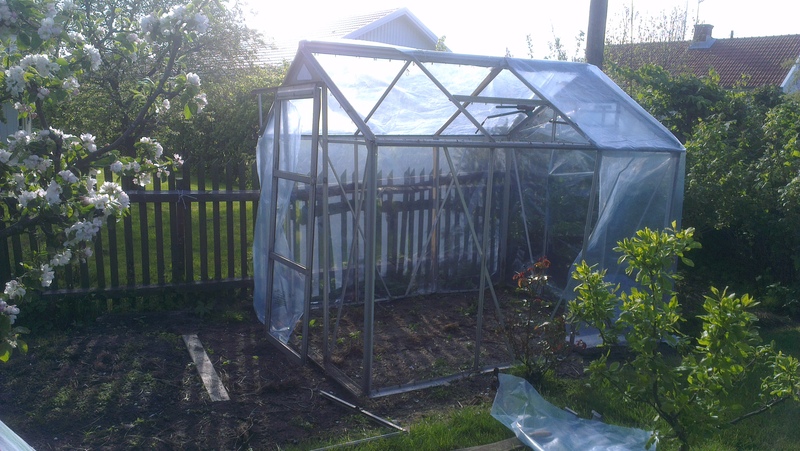 It was very wet, from now on I will try to pay the compost more attention, stir it more often and chop up everything I put in there. 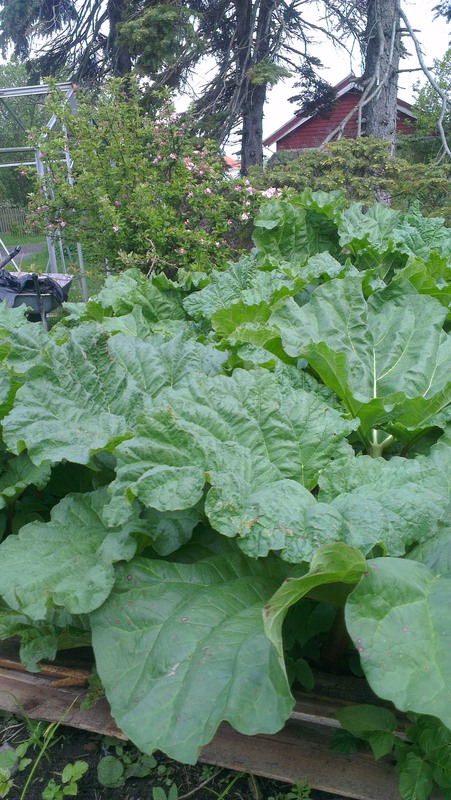 The rhubarb has grown like crazy the last week! Picked 2kilos and made lemonade but it hardly showed that I had picked any. The garden is so beautiful right now. 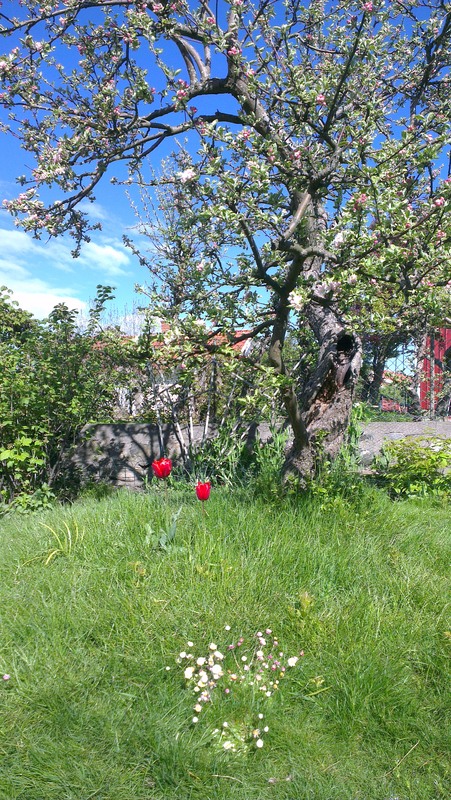 There are tulips popping up everywhere (even better when you don’t remember planting them) and both the pear tree and cherry trees are in bloom. 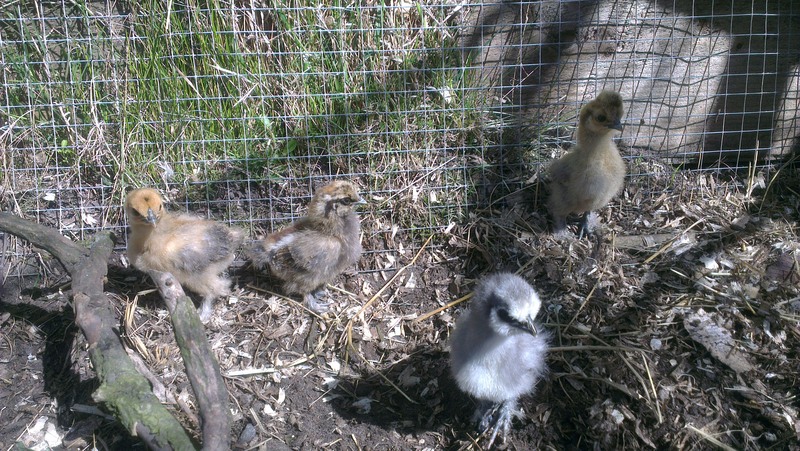 The little chicks finally dared to go out! I think it’s really a bit early for them but both Bugget and Otilia are very good at protecting them and are constantly on the look out for dangers. 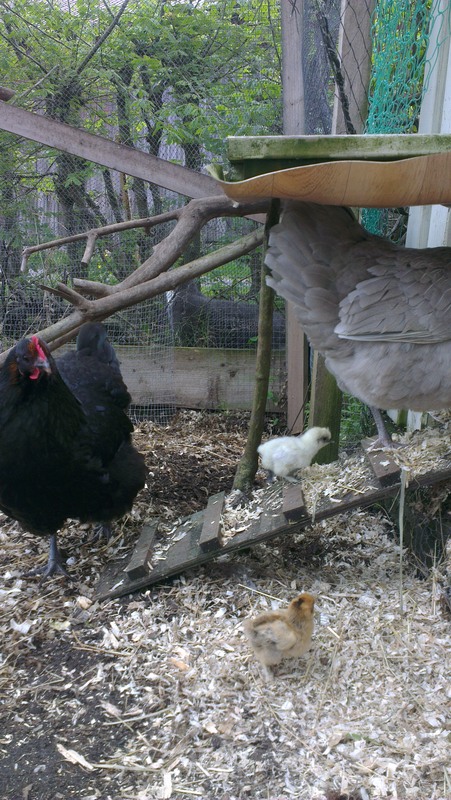 Esme is the only hen that seem to notice the chicks, I’ve seen her pick at them but then she gets corrected by the mums. Is there anything cuter than a chicken? Don’t think so. Me and my daughter sat with them in the hen yard for ages watching and taking turns picking them up. We’ve named one so far, Punken(punk). 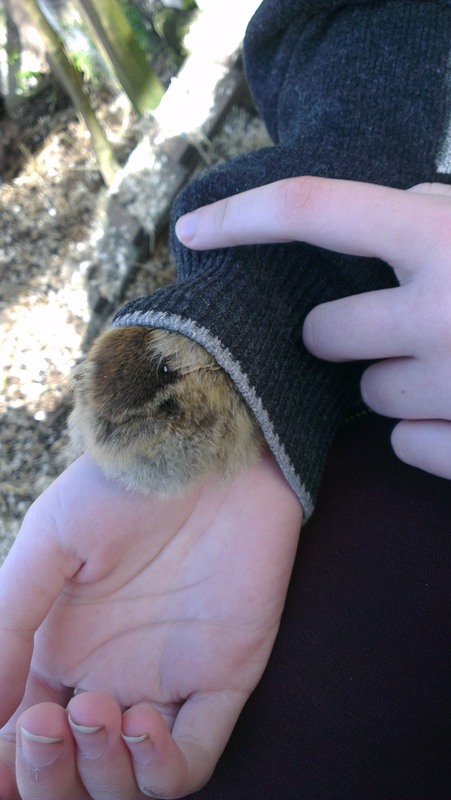 Punken sat on my daughters lap and suddenly crawled up her sleeve! The little yellow one fell asleep in her hand. When we came back out after lunch they were still outside. Turns out the chicks could get out but for their life not find a way to get back inside. Bugget and Otilia had collected them under a piece of netting that I’d cleared out of the henhouse earlier, perfect protective mothers. 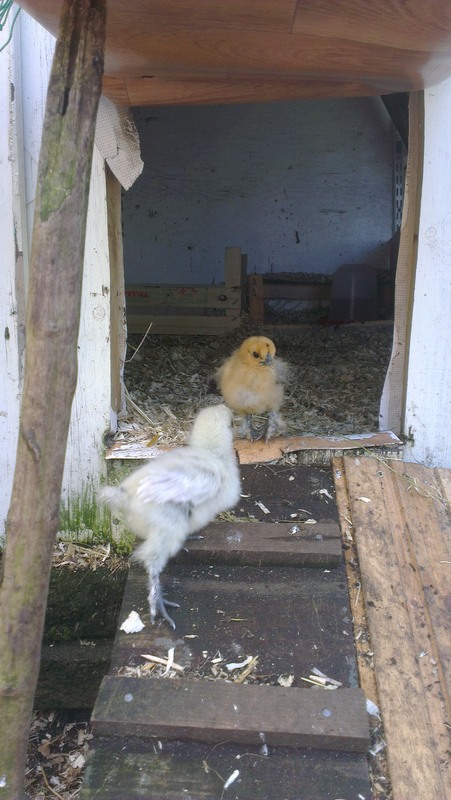 They tried running in and out to show the chicks how but the chickens still tried to jump up the hatch hitting the wall instead of walking up the right way. 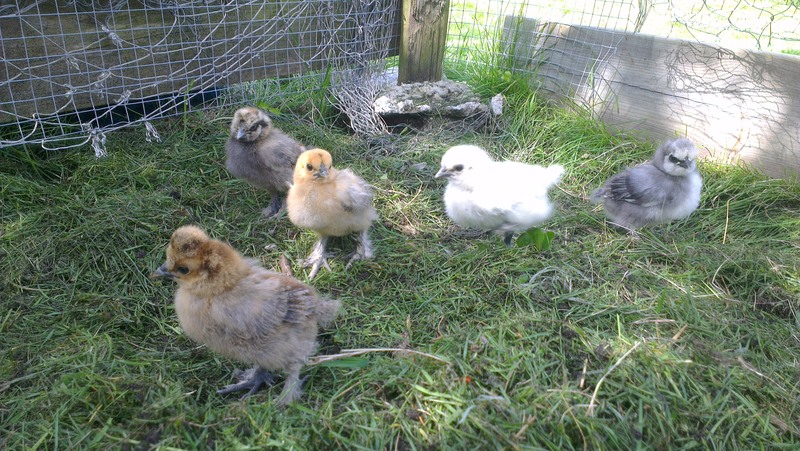 Silly silkies! I’ll have to broaden the hatch ladder today. For once I timed it right and spent all day indoors tidying while the rain came down heavily outside. We signed up for Airbnb.com last year and now have almost all summer booked up. It’s a great thing I think, so nice to have people from all over the world come and stay and also that people are finding us at other times than summer. 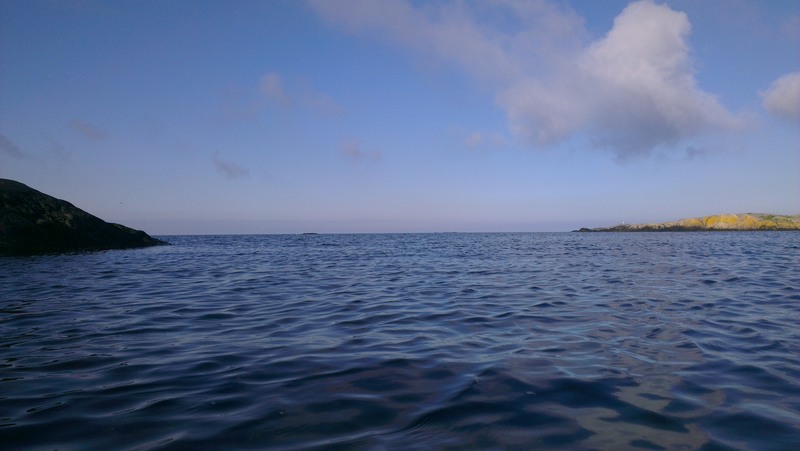 One girl came last November, she didn’t want to go for a sunshine holiday, liked the cold and wind and also felt safe booking with us, being a young single girl. 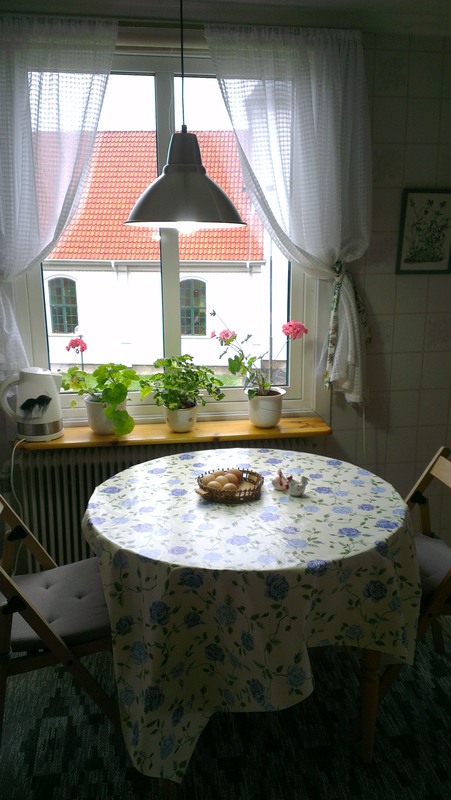 Then we had a couple before Christmas who wanted to get the feel of Swedish Christmas. It rained most of the week but they were happy anyways. They went into Gothenburg for all the museums and shopping and down the harbour with all the Christmas lights and decorations. Great to think that there are actually people for every season! 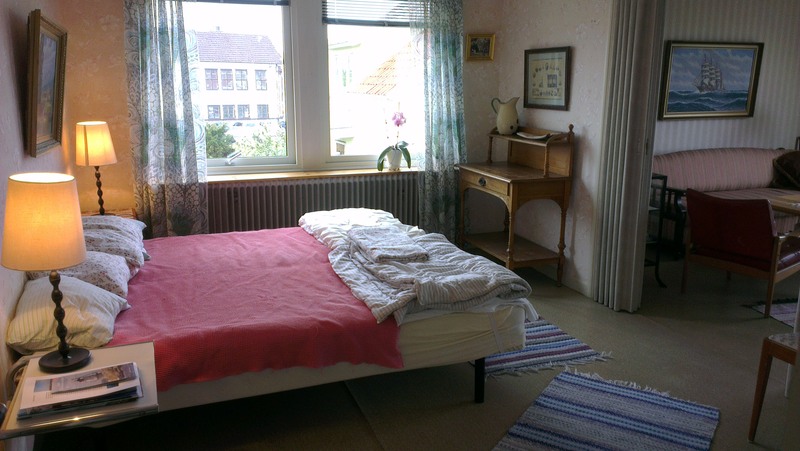 Now upstairs is quite “untouched”, still full of old things. I will try to keep it the same but improved. 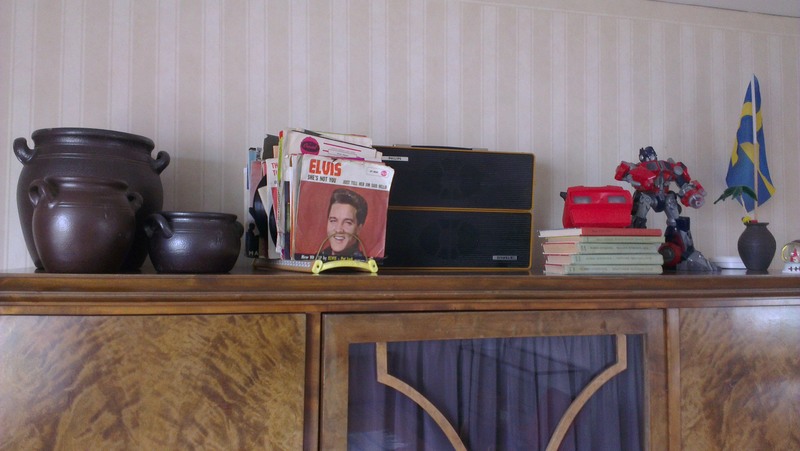 We’ve bought lots of things from the second hand that fits in but it’s still quite an eclectic taste. 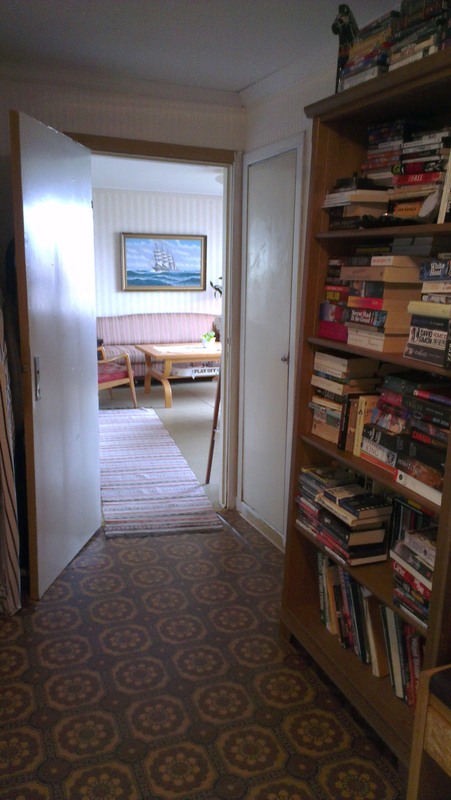 I’m very happy that we didn’t throw out the old plastic carpet in the hallway, still a shame that we didn’t try to save the old wallpaper that we found underneath, the newer old one. 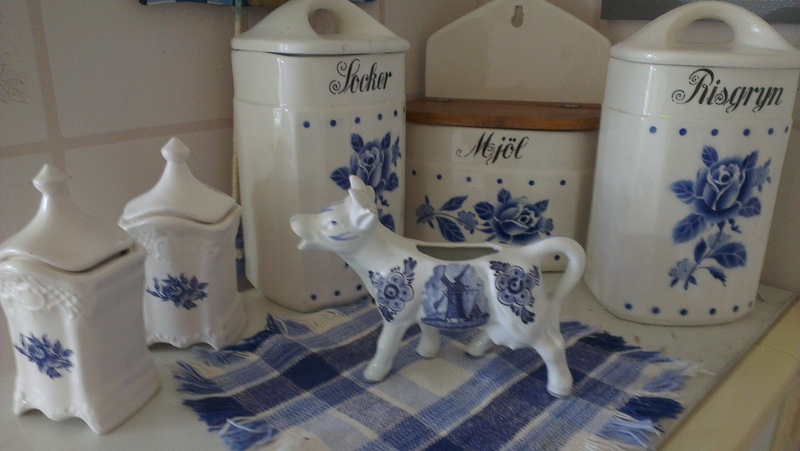 The “ketch-shelf” is filling up with old childhood memories and tacky holiday souvenirs. Today a couple from France arrived. We usually lend them our own bikes but now they are in such bad shape so we suggested to rent bikes. I called Paolo, the guy in charge, and he even delivered the bikes to our doorstep! 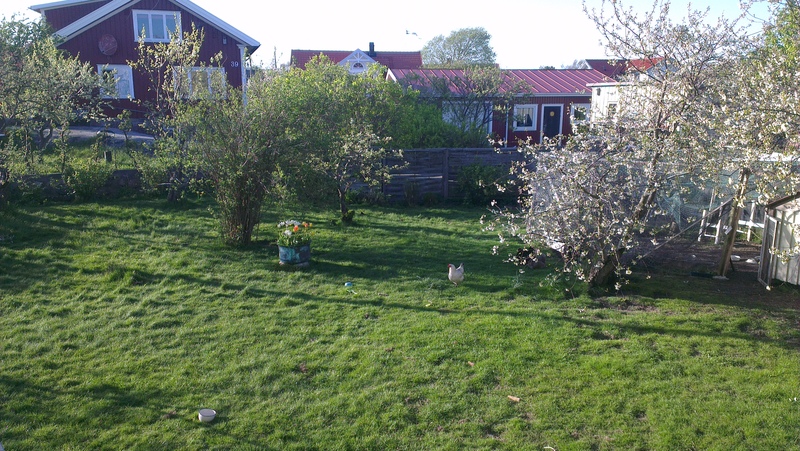 The chickens are doing well. The hens as well. Seems like all that garlic and “filmjölk” did the trick. Bugget was very adamant to get the chickens out of the box so I took the net away. They eventually found their way out of the box but still haven’t ventured outside.